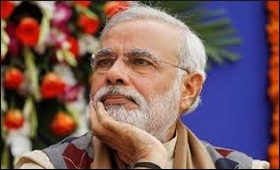 The central government on Wednesday said that Prime Minister Narendra Modi will launch the air regional connectivity scheme -- UDAN -- on April 27, Thursday, in Shimla. "Simultaneously, Prime Minister Narendra Modi will also flag off the inaugural UDAN flights on Kadapa-Hyderabad and Nanded-Hyderabad sectors," the Ministry of Civil Aviation said in a statement. Prime Minister Modi will launch the scheme at 11.15 a.m. in Shimla and simultaneously flag off the inaugural UDAN flights on Kadapa-Hyderabad and Nanded-Hyderabad sectors through video conferencing. "To make air travel accessible to citizens in regionally important areas, the 'Ude Desh ka Aam Naagrik' RCS was launched in October, 2016. UDAN scheme is a first-of-its-kind scheme globally to stimulate regional connectivity through a market-based mechanism," tweeted the Office of the Prime Minister of India (PMO India). "The UDAN Scheme is a key component of the National Civil Aviation Policy (NCAP) which was released on 15th June, 2016. Airfare for a one hour journey of appx. 500 km on a fixed wing aircraft or for 30 minute journey on a helicopter would be capped at Rs 2,500." Air India subsidiary Alliance Air, which will operate the Delhi-Shimla flight, has put in a one-day fare of Rs 2,036. On March 30, 2017, the central government under the scheme awarded contracts to five companies to operate flight services on 128 routes that will connect 70 airports. The airports are spread across the country, 24 in the western region, 17 in northern region, 11 in southern region, 12 in eastern region and six in north-eastern region. The seating capacity of airlines under the scheme will range from 19 to 78, and 50 per cent of the seats in every flight will have a fare cap of Rs 2,500 per seat per hour. Last year, the central government launched the RCS which is a key component of the National Civil Aviation Policy (NCAP), whose main objective is to "enhance regional connectivity through fiscal support and infrastructure development." The objective of RCS, christened as UDAN (Ude Desh ka Aam Naagrik) is to enhance air passenger traffic in the country by stimulating demand on regional routes. The UDAN scheme will be in operation for a period of 10 years. The operations under the scheme are intended to provide air connectivity to un-served and remote routes with airfare being capped at Rs 2,500 for an hour's journey of around 500 km. The allocation of routes under the scheme will be based on a reverse bidding mechanism, with selected airlines getting a VGF (viability gap funding), apart from various other financial concessions for a period of three years. The central government is expected to provide concessions in the form of reduced excise duty and service tax, and the state governments will have to lower the VAT (value added tax) on ATF (air turbine fuel) to one per cent or less. Besides, the state governments would not charge on security, and fire services and electricity, water and other utilities would be provided at concessional rates. On their part, airport operators shall not impose landing and parking charges and terminal navigation landing fees. They would also offer discounts on route navigation facility charges.